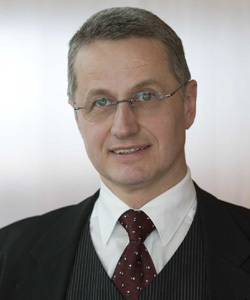 Joachim Rogall is the co-Chief Executive Officer at the Robert Bosch Stiftung. He joined the Robert Bosch Stiftung in 1996 where he was most recently divisional director for International Relations Central and Southeastern Europe, CIS, China. He has been an adjunct professor in Eastern European History at Heidelberg University since 2003. He studied Eastern European history, Slavic philology, and German studies at the universities of Mainz, Poznan (Poland), and Heidelberg. He obtained his doctorate in 1988 and postdoctoral lecture qualification in 2000 at the Johannes Gutenberg University Mainz.